Interview with Jens Hafner of Killer Metal Records! As more and more bands appear on the radar from all over the globe, a trend has begun. Younger bands are circling back to the original heavy metal sound. The birth of New Wave of Traditional Heavy Metal began ten to twelve years ago and continues to expand and evolve month after month. Jens Hafner isn't afraid to don the denim and leather. The owner of independent label Killer Metal Records is a heavy metal enthusiast that has been actively supporting the scene for thirty-four years. Over that time he has exhibited no signs or symptoms of fatigue or complacency as his label continues to grow and expand its roster with new and seasoned traditional metal acts. 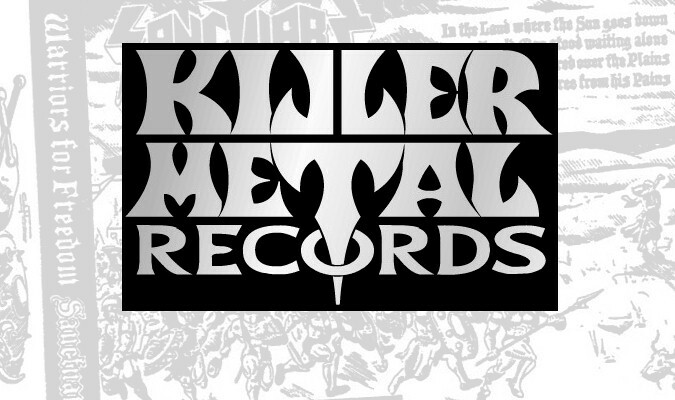 Killer Metal Records was founded in May of 2004 with a single release from the classic NWOBHM act Soldier. In 2015 the label now has an astounding roster of twenty-five bands. In its eleven year history Killer Metal has released nearly fifty titles, with four of those already released this year.